China's first mental health law - 27 years in the making, but will it change negative attitudes? There is a very severe stigma about mental health in China - just try calling someone "shenjingbing" (神经病, mentally ill) and watch the reaction. This cultural taboo about mental health is just as strong for doctors in China - a 2012 survey found that even Chinese psychiatrists had negative and unscientific views about mental illness. Most worryingly, many psychiatrists believed that the best approach for someone with mental illness was to institutionalise them, by force, if necessary. There is still a strong belief in involuntary treatment of mental health conditions in China. It is therefore interesting to see the reactions to the Mental Health Law that was enacted more than a year ago, in May 2013. This law had originally been proposed by the Ministry of Health back in 1985. Such was the lack of interest in change and the entrenched attitudes, it took more than 20 years to get even as far as the draft stage, when it was submitted to the State Council in 2007. After much more negotiation and consultation, the law was approved and came into effect on 1 May 2013. To westerners, much of the law would appear unremarkable. It states that mental illness must be treated according to basic clinical guidelines, with an emphasis on prevention, treatment and rehabilitation. Where the law has proved controversial (in China at least) is on the matter of involuntary treatment. The new law states that for people with mental illness, "voluntary admission and treatment should be the priority". It also states that involuntary admission should be based on “risk criteria", but this is a grey area that is untested in China. In an article published this month by three psychiatrists from Shanghai's Jiaotong University School of Medicine, it is argued that the new law is flawed and will still allow mentally ill patients to be inappropriately 'committed' to an institution on flimsy pretenses. They argue that the risk criteria are too broad and open to interpretation. They say the regulations put too much weight on the opinions and wishes of the families of mentally ill people. In reality this will mean that families with 'backward' attitudes and knowledge about mental health will be able to 'get rid' of the stigma of mentally ill person in their family by having them admitted involuntarily. The psychiatrists say the national law also lacks detail and may not be implemented at a local level. They point to local programs and treatment pathways for mental illness that have been adopted in advanced cities such as Shanghai and Beijing, and they say these should be the model for other parts of China. 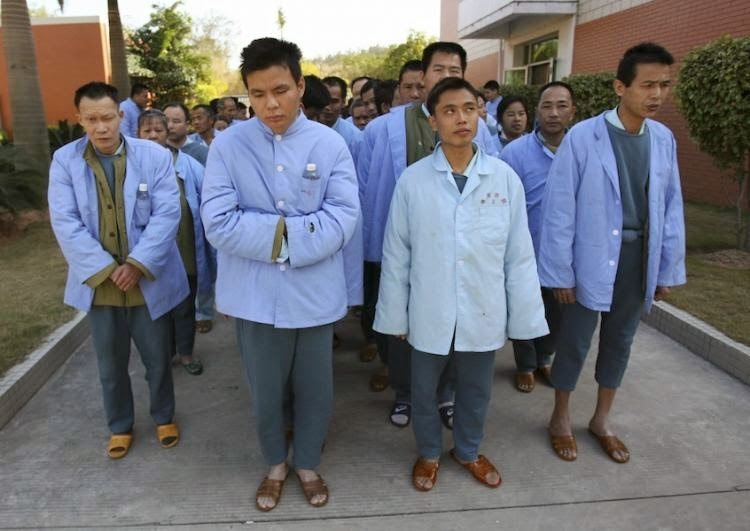 However, for the time being psychiatric treatment remains out of reach for many people with mental illness in China. There are an estimated 173 million people with psychiatric disorders in China, but only 20,000 psychiatrists and a few hundred mental hospitals and clinics. China has a long way to go in providing appropriate care for its many citizens with mental illness.